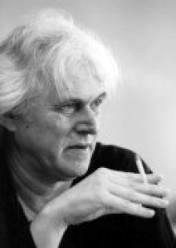 Poet Meir Wieseltier was born in 1941 in Moscow, Russia, and came to Israel in 1949 as a child, after spending two years in Poland, Germany and France. He grew up in a kibbutz and in Natanya, and moved to Tel Aviv at age of 14. He studied philosophy, history and English at the Hebrew University of Jerusalem and later lived for several years in London and Paris. 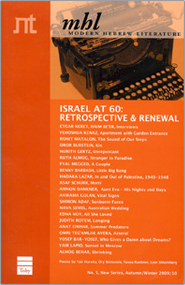 In the 1960s Wieseltier was the central figure in a group of artists known as "the Tel Aviv poets" and he edited a number of literary magazines. He was also co-founder of the literary magazine Siman Kriah, and from 1986 to 1989 he was the poetry editor at Am Oved Publishing House. For a number of years he taught literature at the University of Haifa and is now Professor Emeritus. Wieseltier has translated English, French and Russian poetry into Hebrew, as well as seven of Shakespeare's tragedies, two plays by Christopher Marlowe and novels by Virginia Woolf, Charles Dickens, E.M. Forster, Aldous Huxley, Malcolm Lowry and others. He received the Prime Minister's Prize three times (1977; 1993; 2011), the Elite Jubilee Prize (1984), the Bialik Prize (1995), the Israel Prize for Literature (2000) the L'Olio della Poesia Prize (Italy, 2004) and the Neuman Prize (2015). His poems have been published abroad in some 20 languages. Wieseltier has consistently taken a nonconformist literary stance. His passion for Tel Aviv plays an important role in his writing and expresses itself in a love-hate relationship. He often uses ironic imagery and a sarcastic, despairing tone to demand complete awareness of life's unavoidably painful realities, and urges full emotional and philosophical involvement. Wieseltier places himself at the heart of his work, often writing in the first person, and takes on the role of moralist, searching for values in the midst of chaos. For Wieseltier, poetry is both oppressive ("a lust for lies") and life-giving: inherently futile, it is, nonetheless, the alternative to surrender and mediocrity.